This “perennial” beauty is the Magnolia. I painted it back in 2006 as part of a series of flower paintings for my Aunt’s restaurant. This bold and beautiful flower is associated with nobility and dignity. 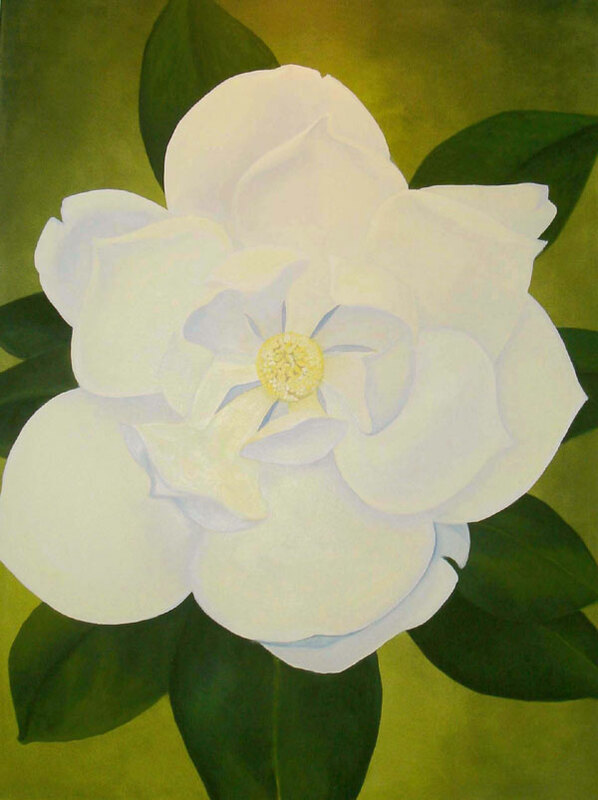 The creamy petals of the white Magnolia flowers are known to represent purity and perfection. I love your lotus series. Did you do the paint them yourself. Beautiful!